Indira Marin Dingledine, a local artist, spent her youth in the galleries and museums of New York City. She studied fine arts at Cornell and Hofstra University. Viewers have noted similar elements in her work to Willem de Kooning, Arshile Gorky, and Umberto Boccioni. 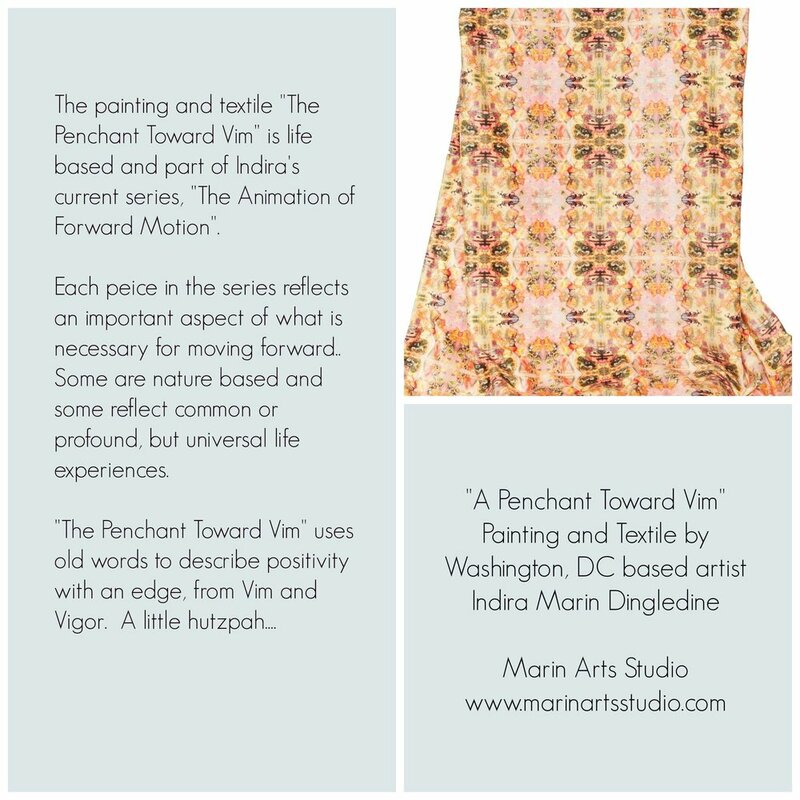 Indira's current series, "The Animation of Forward Motion", is a study of propelled movement while sustaining balance. The observations shown in the series reflect this process in life as much as color and shape.